This Star Trek Starships Collection includes all the most significant ships from the five Star Trek television series. Every ship has been painstakingly recreated in die-cast, high-quality ABS materials then hand painted with an incredible level of detail. The Star Trek Starship Borg Tactical Cube Die-Cast Metal Vehicle comes with a Collector Magazine. 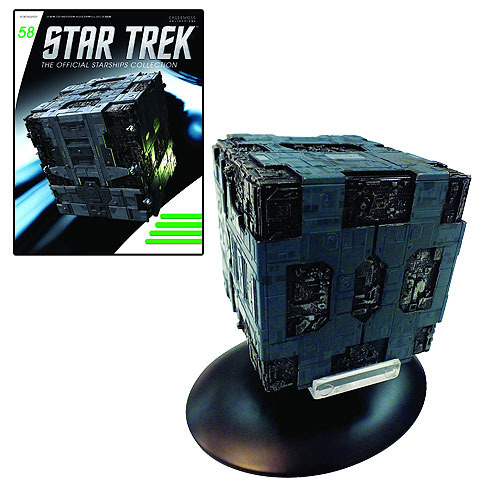 The Borg Tactical Cube is #58 in the Star Trek Starships Collection. Ages 14 and up.